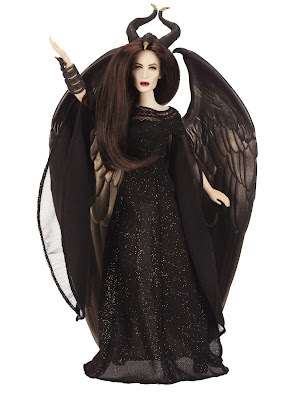 Minding my own business yesterday at Toys R Us, trying to buy a radio-controlled helicopter for my nephew, I found myself accidentally wandering into the collector dolls aisle. Oops! That could get dangerous. 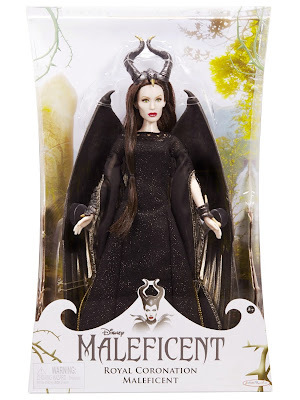 I paused to view the new Maleficent Dark Beauty doll which does bear a remarkable resemblance to Angelina Jolie. She's also available on eBay. 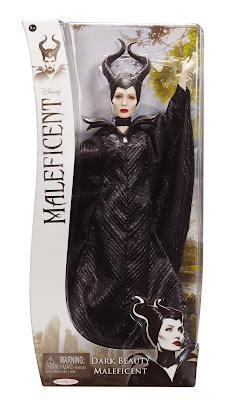 Here is the Dark Beauty Maleficent doll in her collector box. 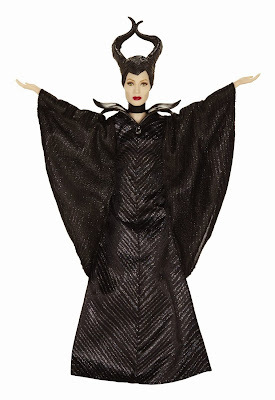 Here's the Royal Coronation Maleficent - love her horns and cape! She's also available on eBay. Here's Funko's Pop! 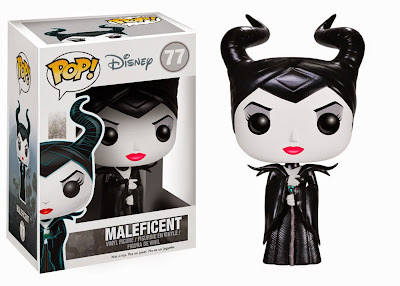 Disney Maleficent collectible vinyl figure. You can also pick one up on eBay.